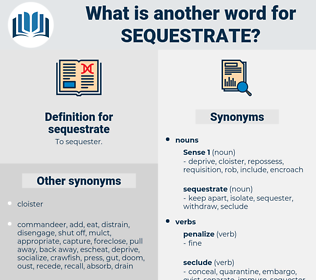 What is another word for sequestrate? join, reveal, uncover, open, release, free, welcome, let go, desegregate, lay bare, combine, unite. 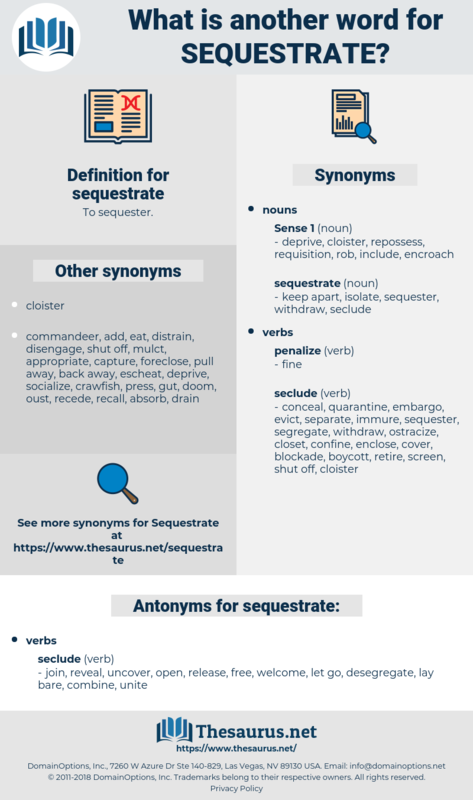 setterwort, Satyridae, sea trout, starry-eyed, starwort, Sed Rate, sagittariidae, skid road, street, stair-rod, steward, scattered, storied, shattered, siderite, sturdy, side yard, starred, struthio, southward, side road, saturday, steroid, stirred, start out, siddhartha, stewart, strad, strait, storeyed, stairhead, sightread, straw hat, sea starwort, strut, stride, shuttered, sight-read, saturate, striate, sideward, sequestered, sweetheart, stuart, sisterhood, stouthearted, start, saturated.